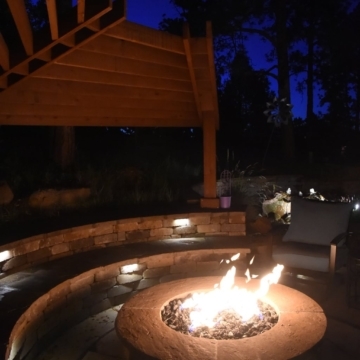 Crackling, flickering firelight is calling you! 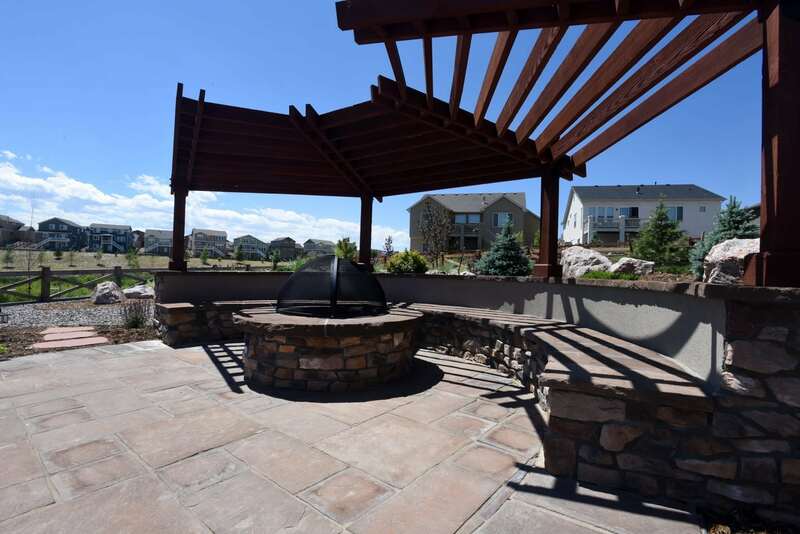 Enjoying the Colorado outdoors is as much of an experience after dark as it is during our beautiful, blue days, so don’t allow another year go by without an outdoor fireplace or outdoor fire pit in your backyard! 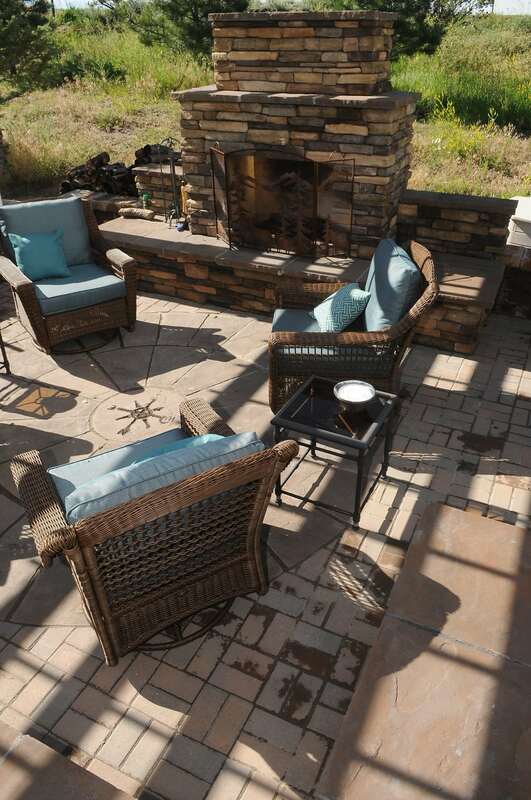 The Big Decision: Fireplace or Fire Pit? 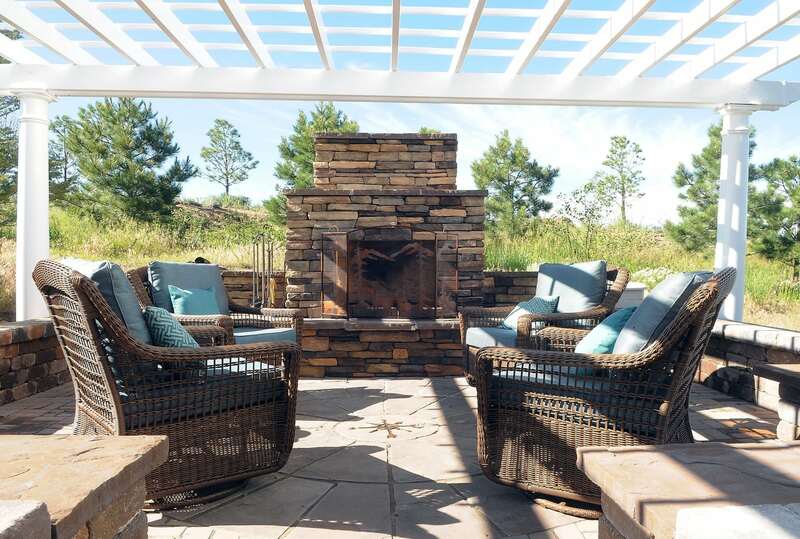 An outdoor fireplace or outdoor fire pit offers light, warmth, and relaxation, but take time to consider the differences and advantages of these two, distinct fire feature options. 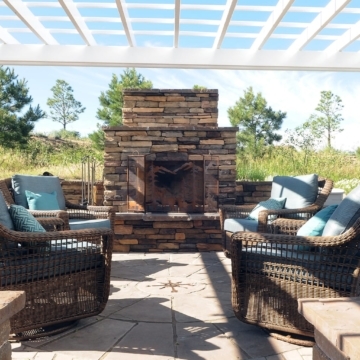 Fireplaces are usually designed to offer 180-degree enjoyment. 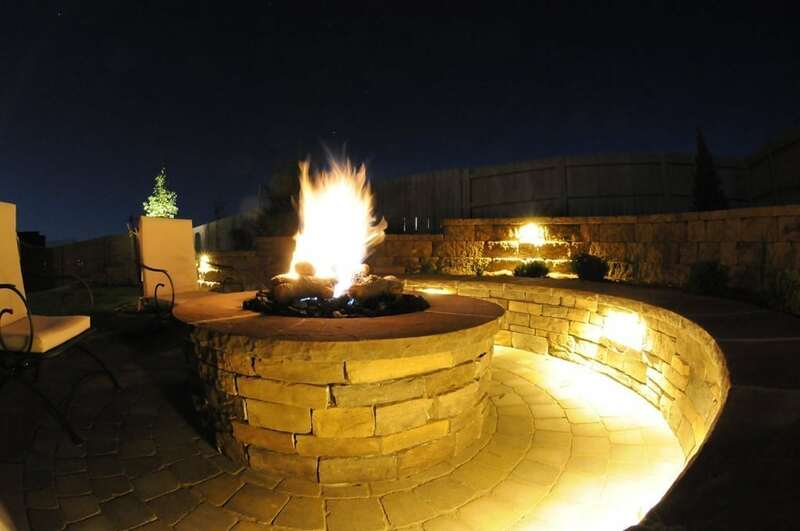 You gaze into the flames from in front of the fire, in a more intimate or even romantic environment. 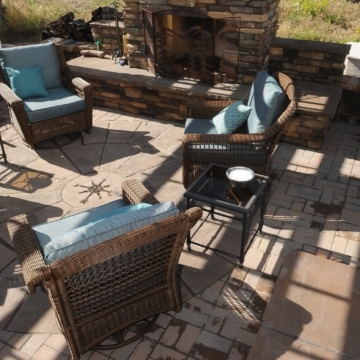 Fireplaces are generally more protected from the weather and outside elements. 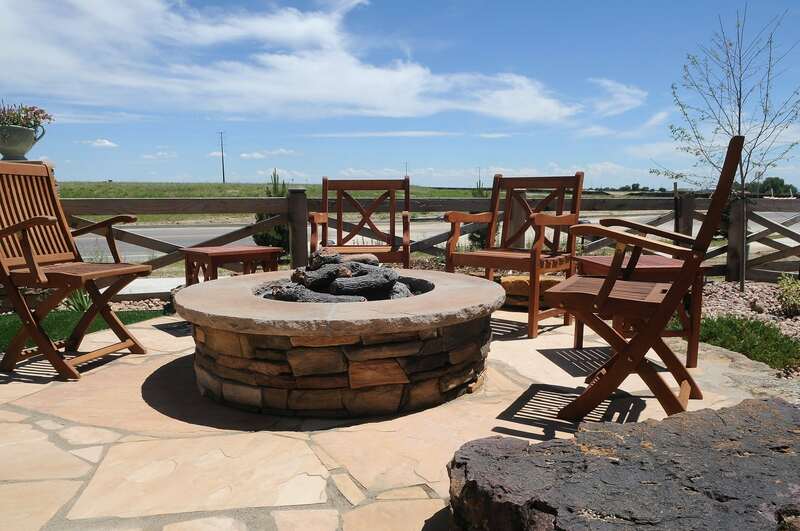 Fire pits are circular and offer 360-degree fireside views, access, and enjoyment. 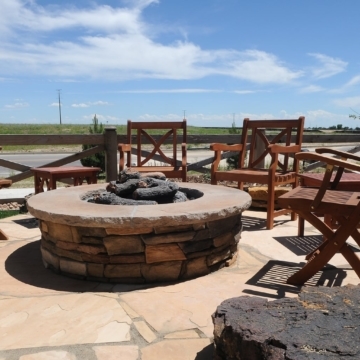 Creating a kind of campfire or camping environment, fire pits are great for groups and allow you to see and chat with everyone sitting around the pit. 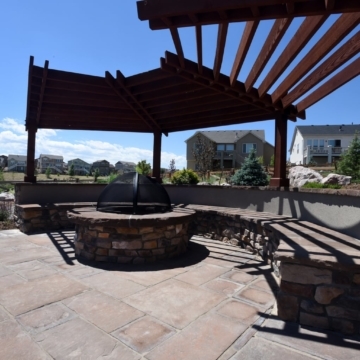 Like a campfire, fire pits are typically open to the elements. 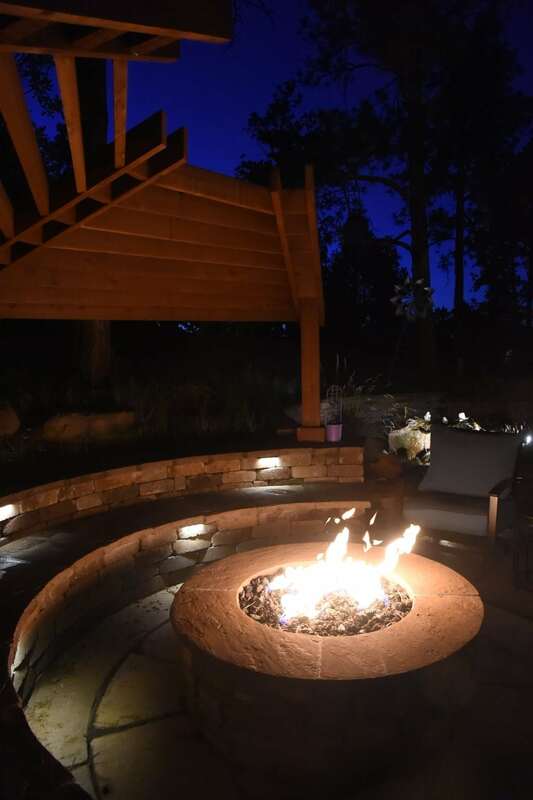 Wood burning fire features and gas burning fire features have different requirements and offer different advantages and drawbacks. 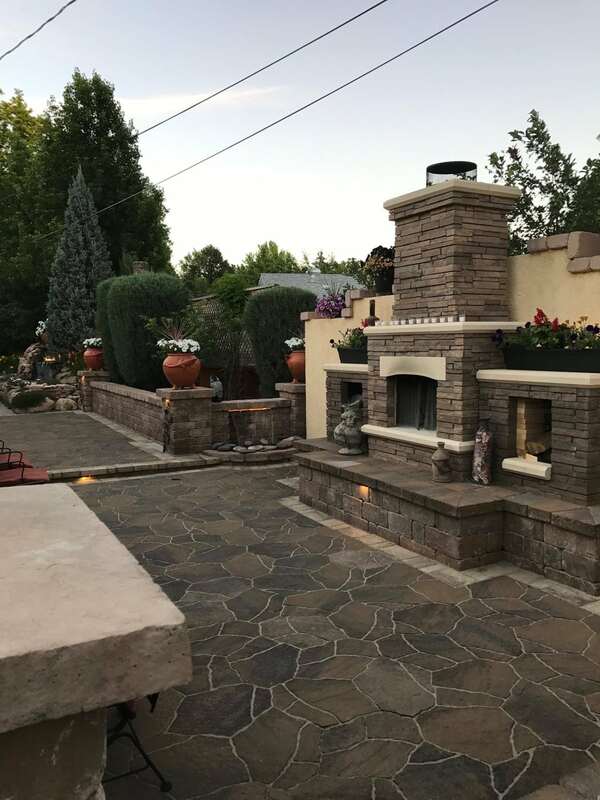 Working with a professional landscaper that understands how best to design fireplaces and fire pits is critical to make sure the job is done correctly. 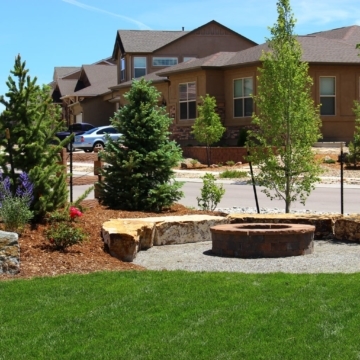 Jake’s Designs landscaping team are experienced in the many aspects that should be considered including safety, placement, aesthetics, materials, and budget options. 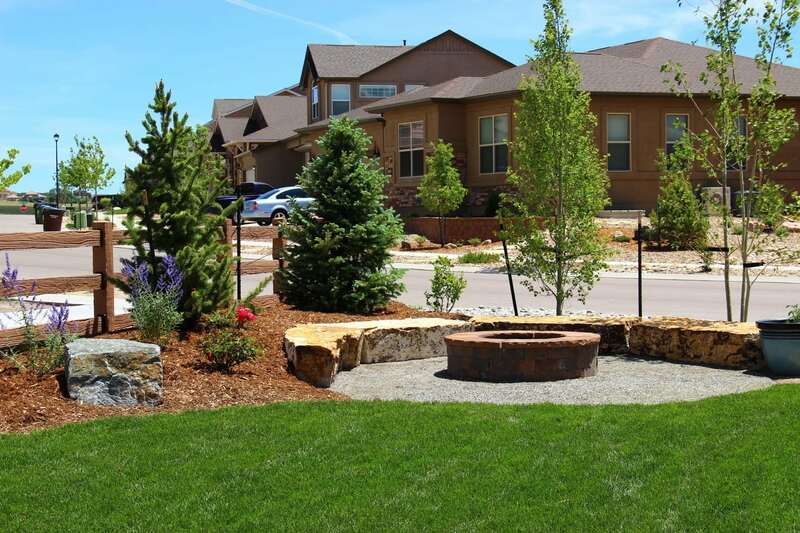 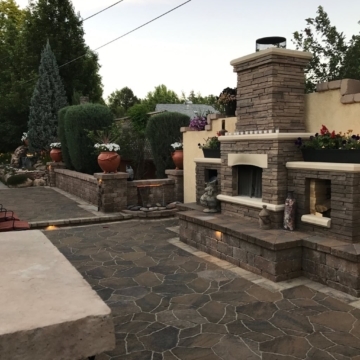 We have designed and installed many outdoor fire features in Colorado Springs neighborhoods and would be delighted to help you! 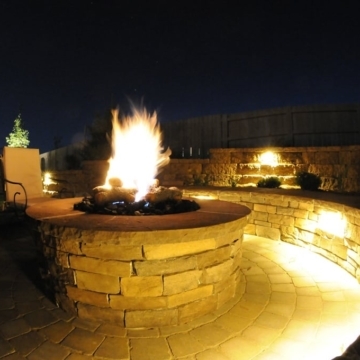 No matter which option you choose, a fire feature will add magic to your yard!